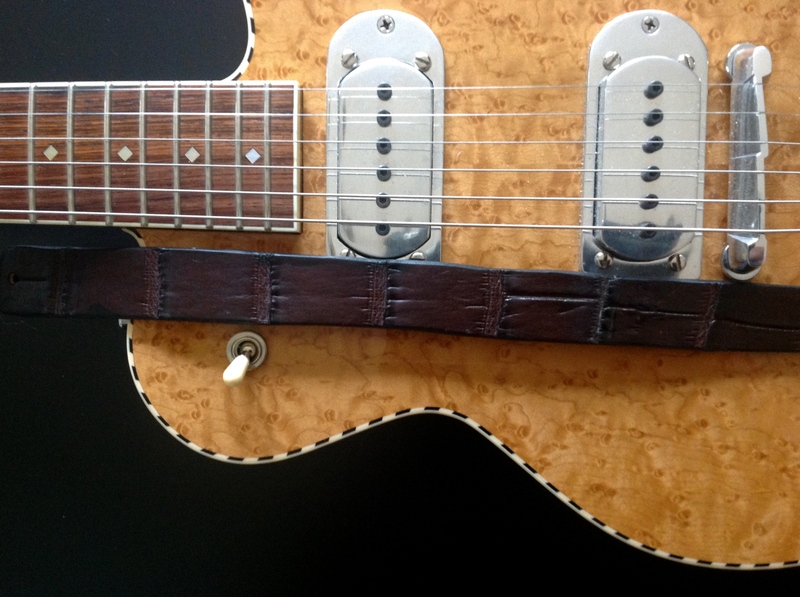 R&B Leathers USA – Alligator Skin Guitar Strap With Shoulder Pad Guitar Strap. 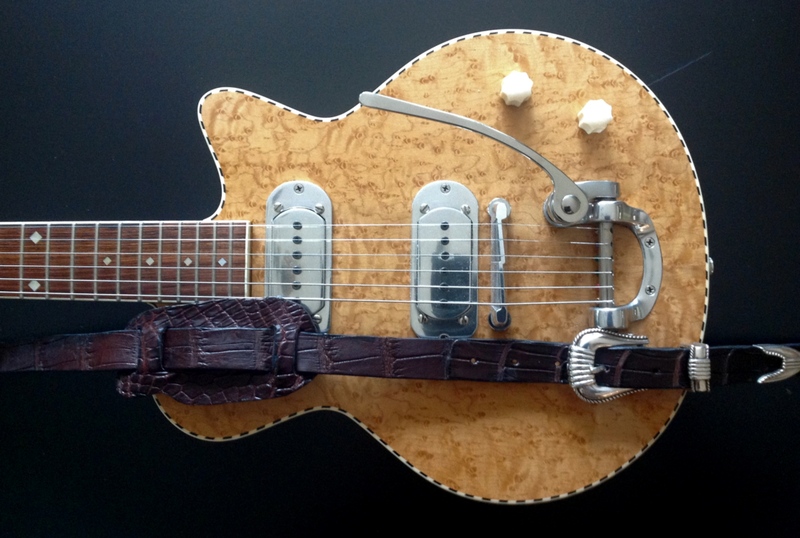 Genuine Texan Alligator Skin Guitar StrapWith Shoulder Pad And Chrome Buckle. Total adjustable length 47 inches and 1 inch at its widest. 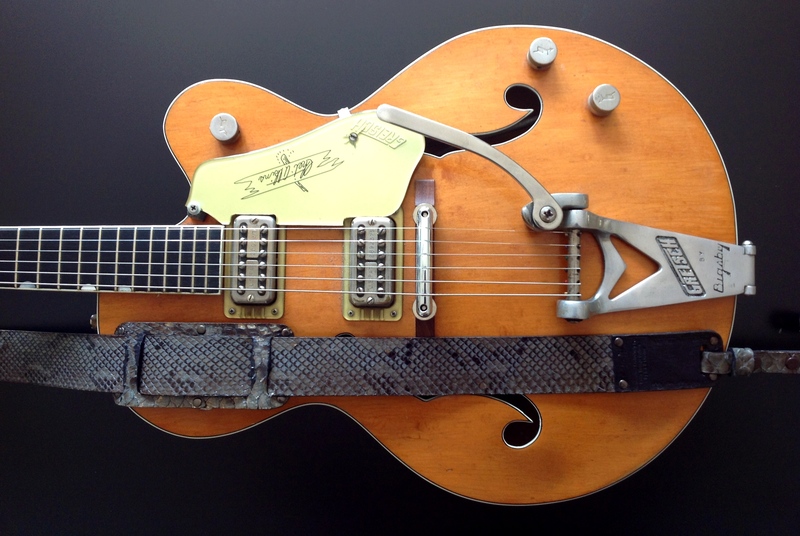 I met Ron (Sleepy) Wadsworth during a trip to Texas a few years ago, and was amazed at the quality, and the materials he used to make guitar straps and other guitar related products. 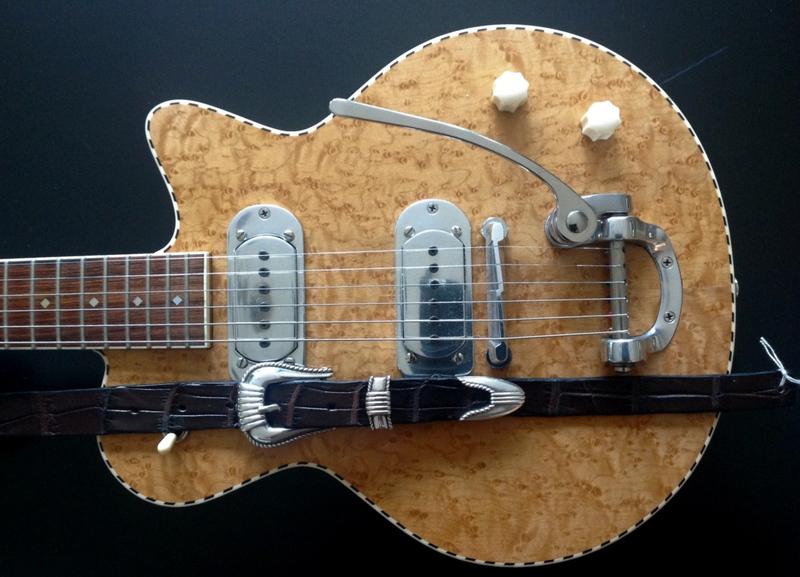 He and his partner Barbara formed R & B Fine Leathers, and they will make you anything from a pair of snake skin boots, through to a wallet via a tasty guitar strap! 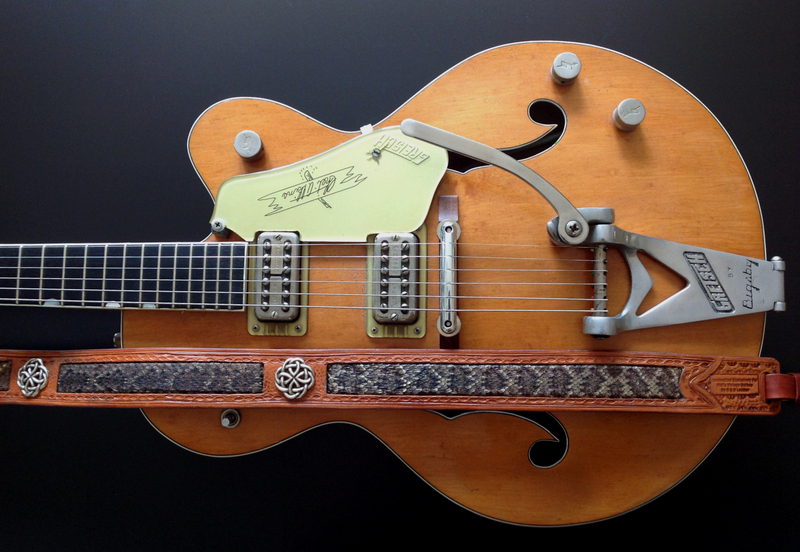 Of course you all know Sleepy…he’s the guy that made the musical note guitar strap for Stevie Ray Vaughn. “Nuf” Said.